PATRICK KEASTEAD - Patrick, a senior, has earned student of the month because of his extraordinary dedication to his senior project. 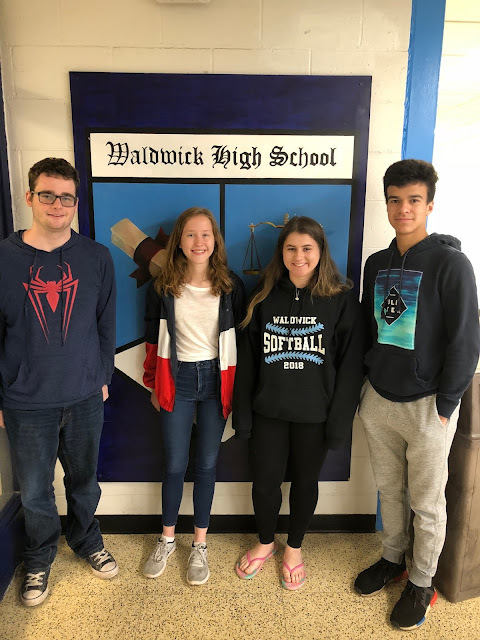 Patrick has been working on his project for four months and is finally reaching the end of a long road to creating a documentary that remembers a few alumni from WHS who have passed due to heroin related issues. Patrick has written scripts, set up, scheduled and recorded interviews, gathered information through research and even worked with the Waldwick Police Department.He is currently in the final stages of the project, which includes final editing and scoring the music for the film. With this project, Patrick will leave a legacy behind that will be shared for many years to come.